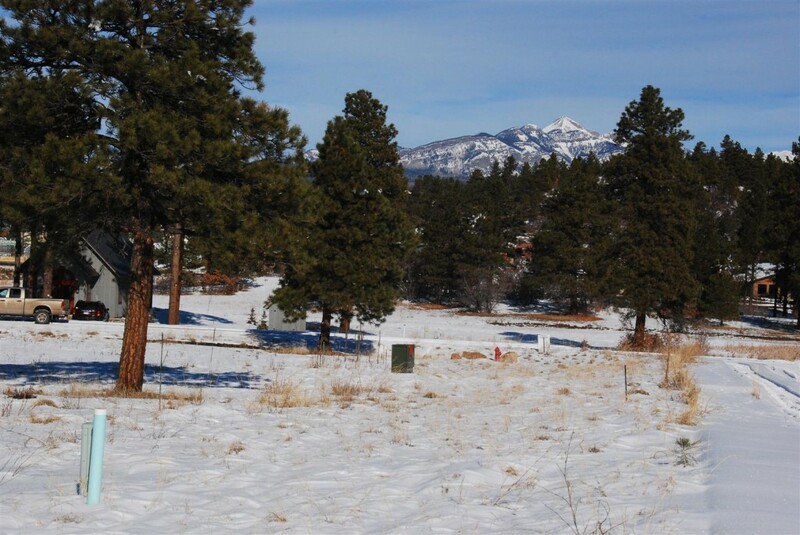 All Things Pagosa is proud to announce the listing of the remaining eight parcels available in the upscale Harman Business Park located on the south side of the Hwy 160/Piedra Road intersection in Pagosa Springs, CO. 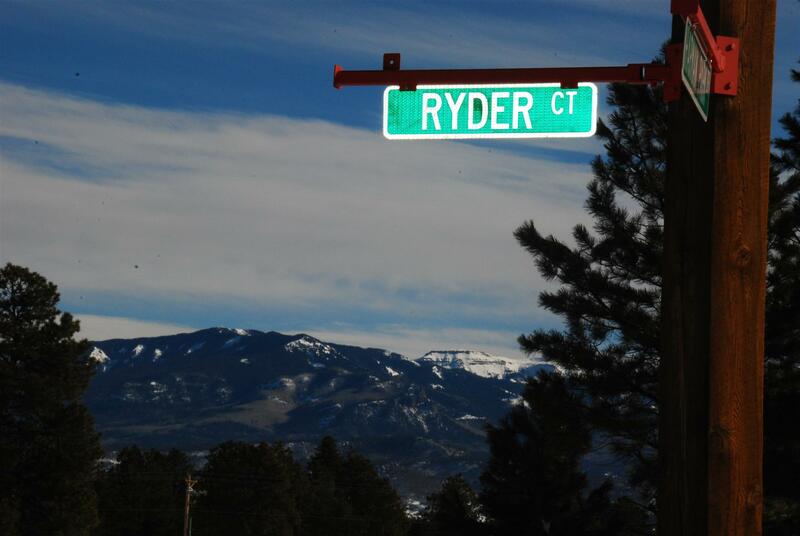 This intersection has some of the highest traffic counts in Pagosa Springs. 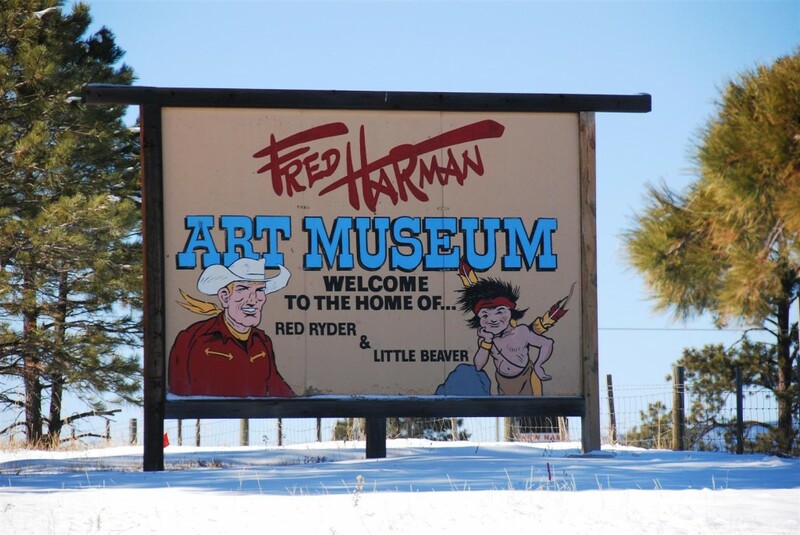 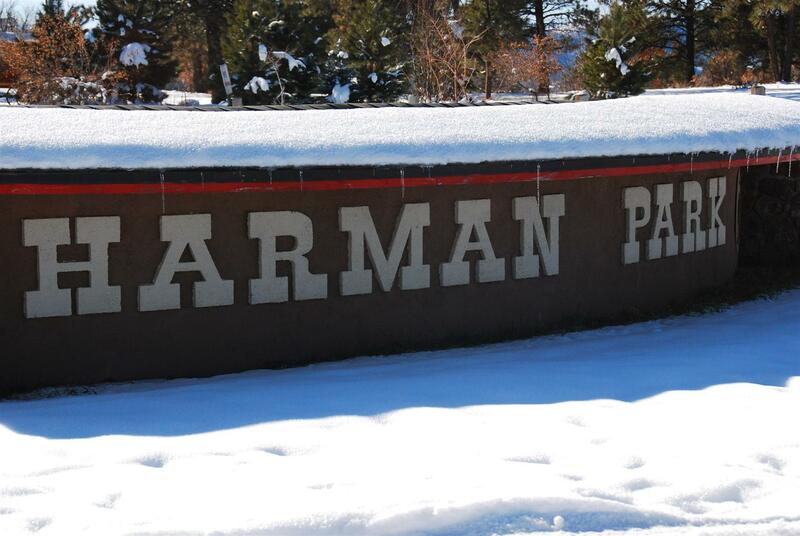 The commercial subdivision is currently home to Wells Fargo Bank, Pagosa Bible Church, Trinity Anglican Church and the world famous Fred Harman Art Museum. The subdivision features paved roads, sidewalks, Hwy 160 frontage and big north & east mountain views. It is an ideal location for tourism-related businesses that need high visibility such as hotels/resorts, restaurants, museums, etc. 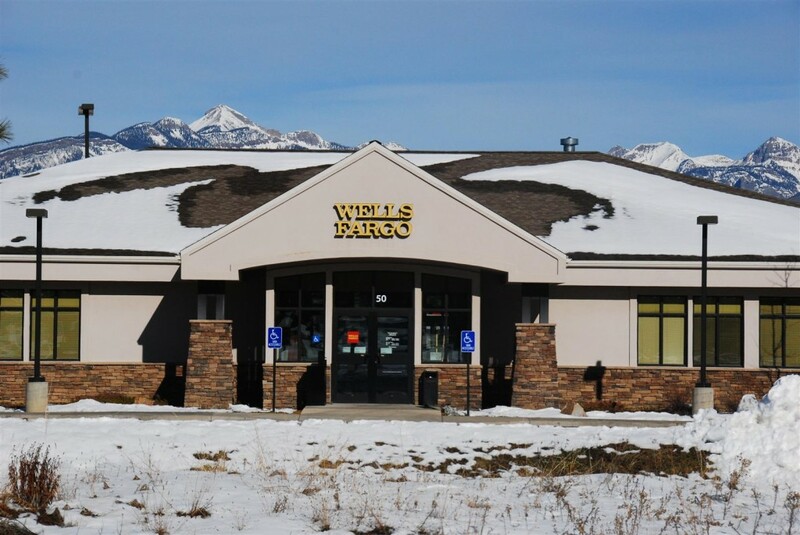 These are rock-bottom prices that make building your Pagosa Springs business feasible and should appeal to a Pagosa Springs commercial real estate investor as well. Below are links to a subdivision plat map, the covenants/restrictions, architectural design and construction guidelines. 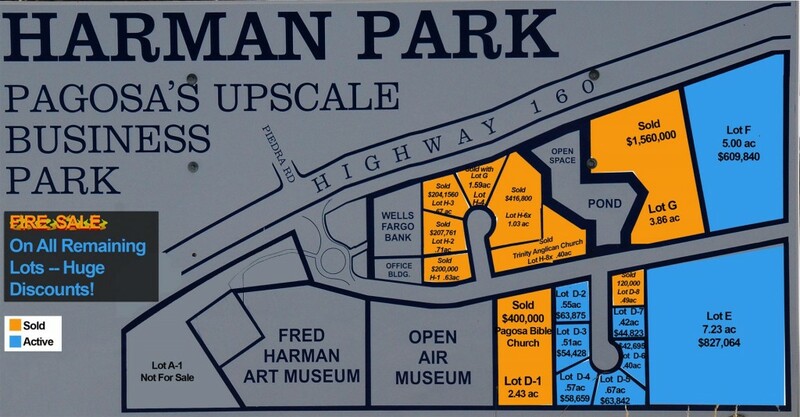 Click the listings mentioned above for more details and photos for each listing.